The almost 4 km long Prosiecka dolina valley is deeply embedded between the massive mountains of Lomno and Prosečné (1,372 m). The blue-marked instructive path with several wooden panels bearing details on geologic, geomorphic, and pedologic facts concerning the valley and the local fauna and flora leads through the valley. It starts at the entry to the valley next to the rock called Vráta (The Gate) above which the brook Prosečianka springs. In its central part the valley widens to a grassy clearing called Polhora on the sides of which is a group of rocks bearing names Medveď (the Bear), Sova (the Owl), Ťava (the Camel), Jánošík, etc., waterfalls and caves. At the beginning of its upper part the valley branches to a little valley called Červené piesky with an imposing 15 m high waterfall and the canyons of Nižný and Vyšný Straz, which are the most attractive sections of the valley. Their steepness and wildness will certainly impress any visitor, who will climb it. Beyond the upper end of the valley is a grassy plain called Svorad crossed by a blue-marked trail heading to the community of Veľké Borové. Veľké Borové is popular as a tourist base for trips to the National Nature Reserve Kvačianska dolina valley. This canyon-type valley deeply cut into the dolomite and limestone rocks between the Čierna hora (1,098 m) and Ostré (1,128 m) mountains runs parallel to the Prosiecka dolina valley. Both create a popular one-day tourist circuit. The Kvačianska dolina valley has an instructive path with numerous stops. There used to exist an old road in the valley leading along the bottom and communicated the villages Veľké Borové and Huty with the rest of the world. 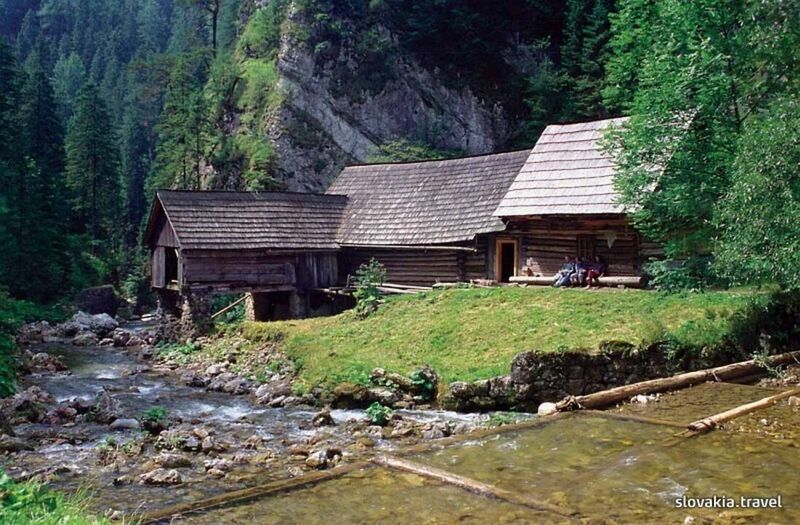 The landmark in the upper part of the valley is called Oblazy - a unique and ancient wooden water mill, and another attractive place is Roháč, a rock promontory in the lower part of the valley and the highest point on the old road. In 1860 a stone cross was erected here and the place provides wonderful views of the entire canyon. The Hotel Koliba Greta complex in Liptovska Sielnica, right at the Liptovska Mara lake, offers you cosy accommodation in its main hotel building and in 5 charming, wooden houses. All rooms and apartments have a satellite TV and offer free wireless internet access.